This one I really have no clue - help! Its a female. 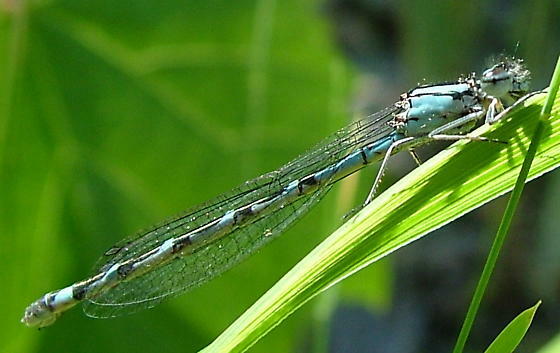 Females are harder to tell but the paterns look like eather a Boreal Bluet or a Northern Bluet. Thanks for those links - I've bookmarked them. Nothing really jumps out at me so far, but I'll have another look tomorrow.